Not much is happening this weekend so here’s one that was submitted by the Kingsway District Association. If you have any significant events, post them in replies below. 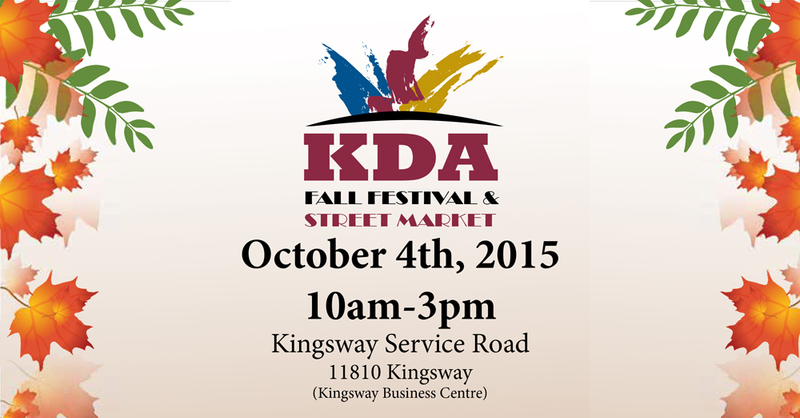 Join the Kingsway community as we celebrate & host our KDA Fall Festival & Street Market. There will be live entertainment, a bouncy castle, a petting zoo and much more fun for all! We still have spaces available for local merchants and food vendors so whether you have something to sell big or small there is a space for you. More information about the market here. Also see our blog for details and to fill out the registration package.